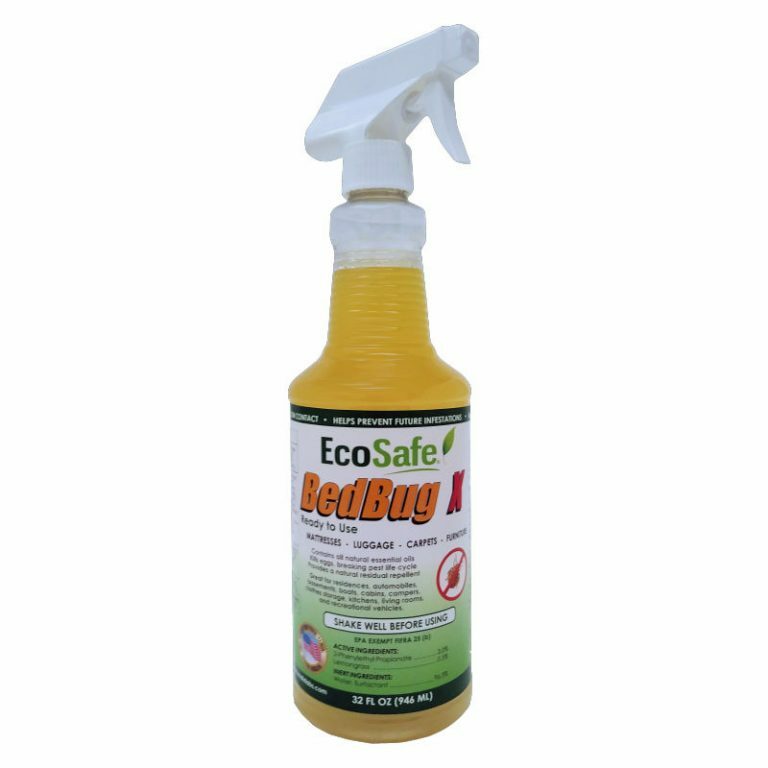 BedBug X insecticide contains essential oils to kill and repel bed bugs. It starts working on contact and remains effective for weeks. EcoSafe® BedBug X is FIFRA 25(b) Exempt. Spray cracks and crevices of beds, furniture, baseboards and other areas where bed bugs live and hide. © 2019 EcoSafe Labs. Inc.